The Leicester Festival is fast approaching and 98 shows are planned. Once again The 1000 Years Show returns in it's 'mini' form to Leicester Guildhall. There will be three more 1000 Years Shows of longer length too. 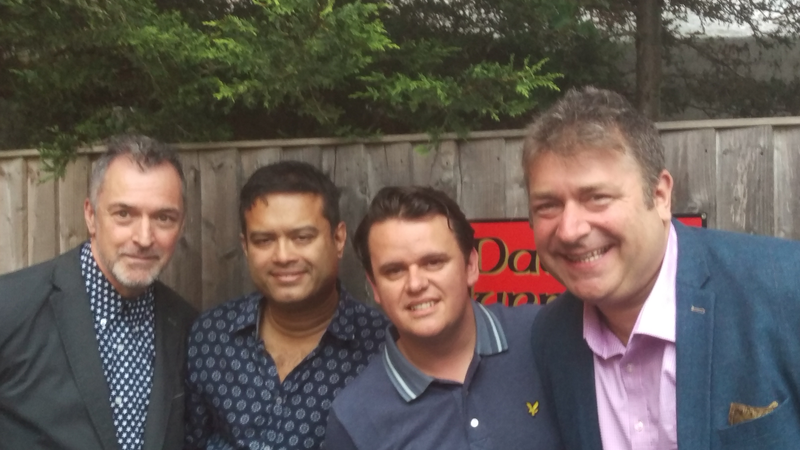 Cropston Fairweather (akaAK) will be hosting four shows at Wigston's premier micro pub The Tap & Barrel. The 1000 Years Show details HERE! Details of all Leicester Comedy Festival Shows HERE! Below: Anthony performing at The Wilderness Festival (Aug 3rd, 2017) Photo by Adele Browne. 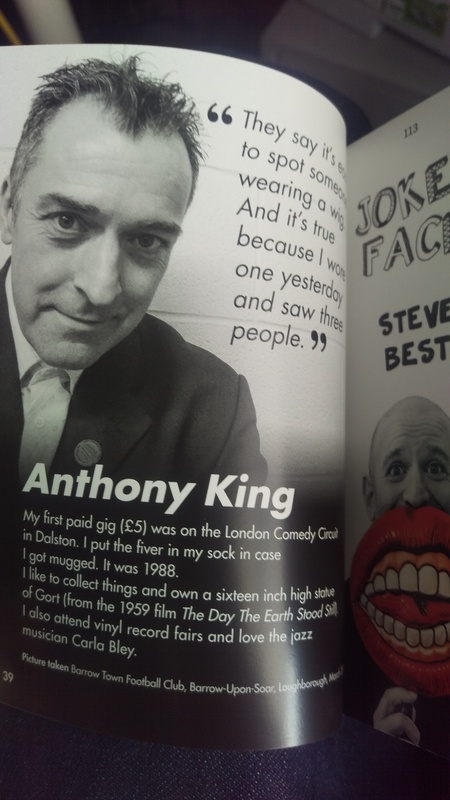 Below below: Anthony's page in a new book 'Joker Face' by Steve Best. About Anthony's inclusion: "..You have one of my favourite jokes in the book" - Steve Best. Anthony has been a fixture on the U.K. comedy scene for nearly 30 years playing top U.K. 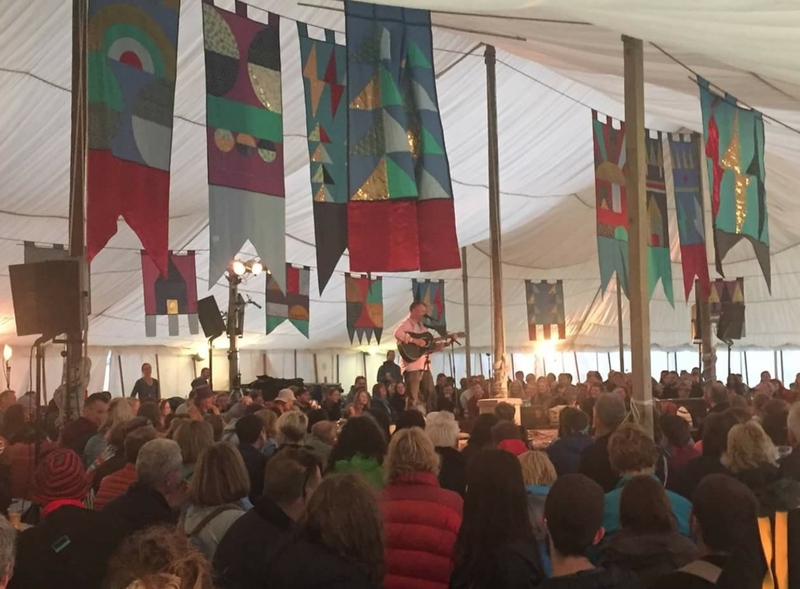 Clubs, Theatres, Arts Centres and at Festivals. His unique dead-pan style was honed in the late 80's/early 90's in London before the circuit expanded to what it is today. At home with a quiet listening audience and the bustle of a rowdy club, with a set full of punchlines. In the last few years, Anthony has started writing songs and now has a 'song sets' as well as a stand-up sets. "Some clubs are more suited to stand-up and some prefer the stand-up and songs. It's great to be able to do both". "Anthony King was the slow-burner of the weekend, his psycho songs creepier than most in the overcrowded genre of lovelorn, guitar strumming weirdos. The prissily sneery, camp inflection of his threats remained with you long after he left the stage" - Jay Richardson - The British Comedy Guide (June 4, 2013).